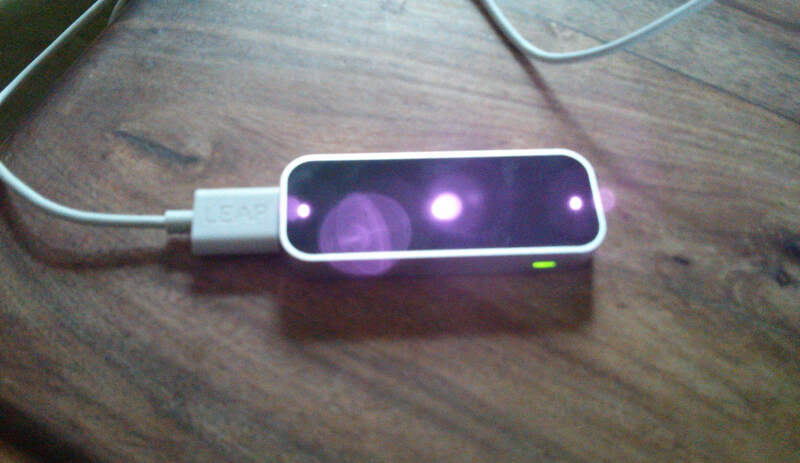 As partner of ASUS the Leap Motion uses the same emitted and reflected infrared light for tracking parts of the human body like the Asus Xtion Pro . Available since July 2013, the Leap Motion with about 90EUR is an inexpensive, but limited input device, which is optimized for tracking fingers and hands as illustrated in the following illustrations. The main features include the tracking of two simultaneous hands with gesture recognition for all ten fingers. For distances between 10cm and 1m at daylight the device works reliably. 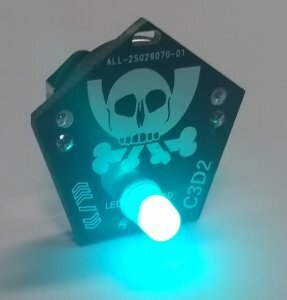 During my thesis, I have tested the existing ROS driver, which currently only supports one hand and was not able to provide 3D PointCloud data. 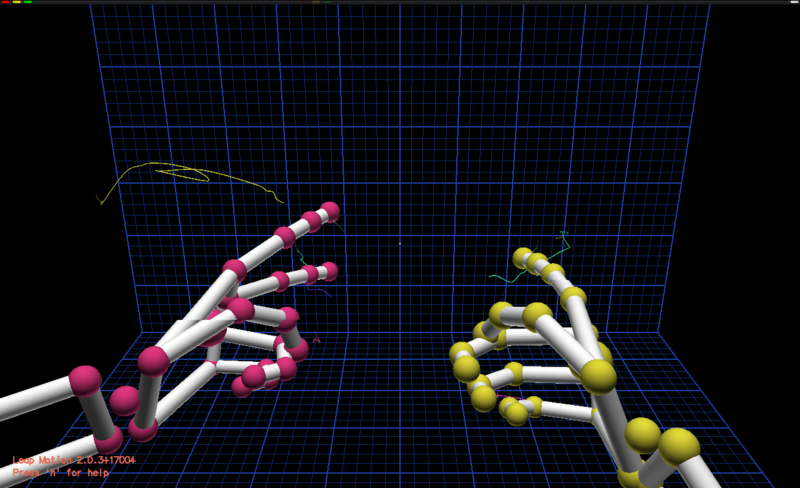 In brief, the Leap Motion unfortunately is inappropriate for our project as their only use could be unreliable robot control by hand gestures. This entry was posted in Robotics, Sensors and tagged LeapMotion on 2016-03-11 by paul. UGVs like they are found in industry, education or Do it yourself (DIY) communities are currently not affordable for average technique enthusiasts, teachers in schools or sometimes even universities. The concept of low cost robots tries to solve that issue. What is low cost in a robotic context? How to achieve low cost? There is no general solution to this problem. But an approach to solve the issue in the robotic context is to replace expensive single purpose solutions produced by companies in low quantities with mass produced products that get customized to suit the application. 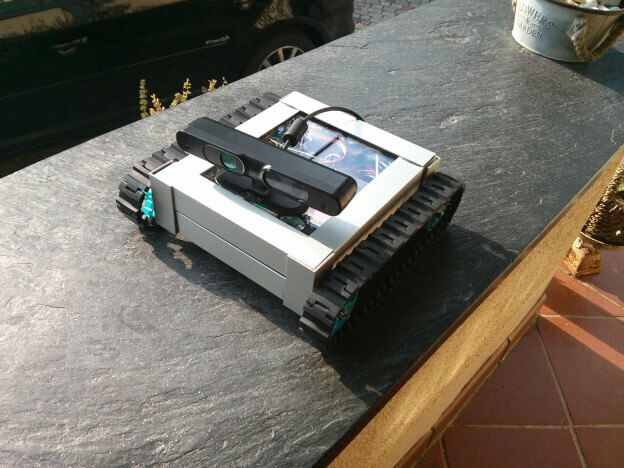 As a consequence, an low cost UGV should be easy to build and reproduce, affordable for education and able to run ROS with some kind of 3D measuring device. It further should consist of easily achievable or replaceable parts. In conclusion, these properties lead to a modular design concept with communication inter- faces between the inexpensive components. Also a certain degree of flexibility is required to maintain extensibility and independence of expensive parts. One of the most important packages a ROS robot should implement is TF (Transformations), because it enables the robot to keep track of multiple coordinate systems (frames) and their relations between each other over time. Following the ROS Enhancement Proposal s (REPs) especially REP105 the most global frame should be the world frame. Every other frame derives from it in a tree structure and can be transformed back into world coordinates by using the same units of measurement defined in REP103. To define a robot, ROS offers a special XML description file using the Unified Robot Description Format (URDF) which is further improved by special markups and an additional interpreter called XML Macros (XACRO). 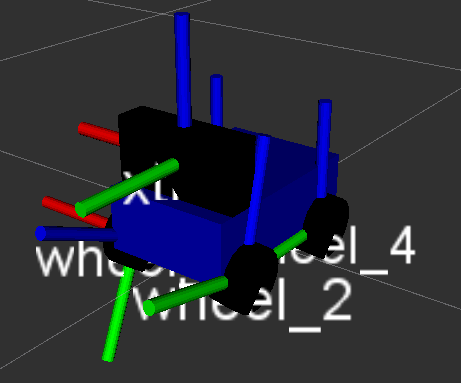 In ROS, all not time-related relations can be defined in a single file and can be published periodically by the robot_state_publisher for example for simulation purposes. In advanced setups, publishing the robots joint states and especially the relation of the base_link is a complex task. Therefore it gets divided into separate processes like navigation, mapping or the hardware controllers. This entry was posted in Uncategorized on 2016-03-11 by paul.